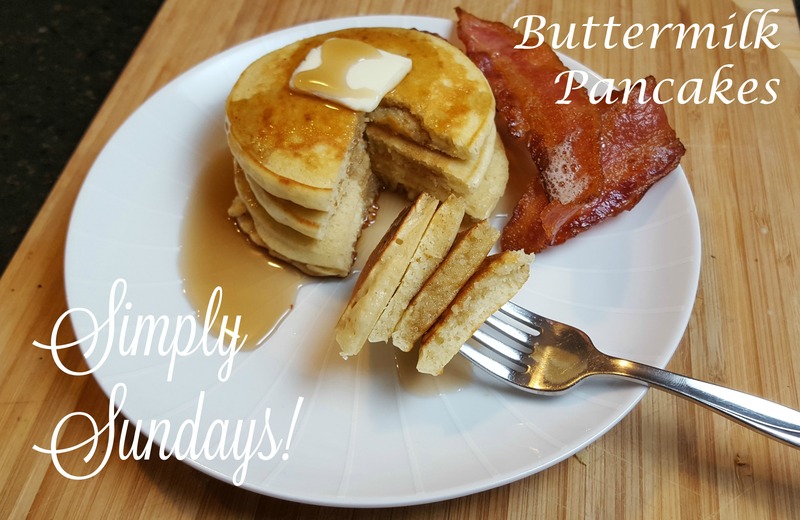 The funny thing is, I’ll bet you didn’t know you have most, if not all, of the ingredients in your pantry to make great buttermilk pancakes from scratch! Let stand for 10 minutes and you have buttermilk! It is also ok to sneak a little peak under a corner to check how brown they are, then flip away! Serve with your favorite breakfast toppings and sides!!! What a scrumptious stack of pancakes! They look so delightfully fluffy – the way my kids like it! And thank you for the hint on making our own buttermilk … I was about to say, “Hard to get it!” Now I have no more excuses! Next Sunday, Pancakes! We never buy buttermilk… it’s so easy and less expensive to make yourself! Please let us know what you think after your pancake breakfast next Sunday! My pancake fix this week wasn’t home made (Hoshino Coffee): it was quite different (very thick, fluffy) & quite spectacular.